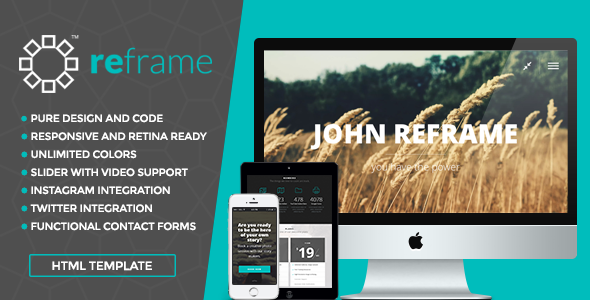 ReFrame is an incredible Responsive Photography HTML Template. This HTML Template will suit photographer, videographer, agency, portfolio and creative websites. It is entirely composed of customizable blocks. The homepage of ReFrame contains: Menu and main image, Portfolio, About us, Testimonials, Instagram, Call to action, Twitter, Contact us, Clients, Numbers, Plans and Pricing, Footer blocks. Item Reviewed: ReFrame Responsive Multipurpose HTML Template 9 out of 10 based on 10 ratings. 9 user reviews.